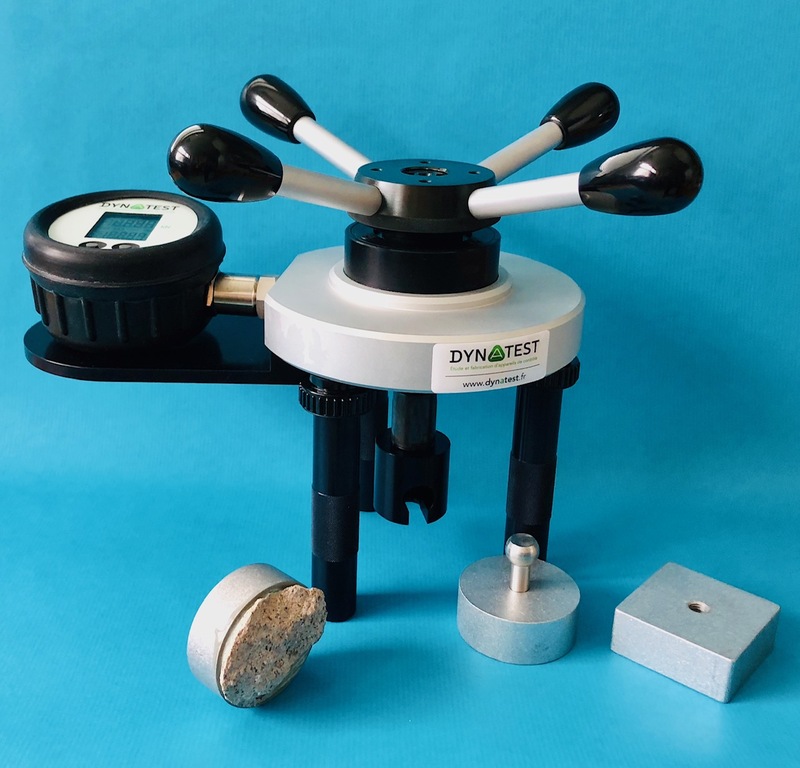 Traction dynamometer providing information about the adhesion strength and cohesion of materials. Thanks to hydraulic transmission of axial movement, the strength is apply with a constantly increasing. The twin hydraulic system allow to the measurement part to be independent from the movement part. Reading on digital indicator, pressure sensor with peak value. The indicator operated with one 3 volt battery (type CR2430), stopping automatically after 15 min. 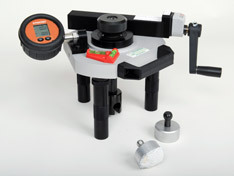 The lightest unit in the range is the DTEpico Vrd is essential for all adhesion testing on work sites. It may be used with disc of Ø 20 mm, Ø 50 mm, 20 x 20 mm et 50 x 50 mm. Measurements with a wheel, and reading of the results on digital indicator with peak value. Ease of use and quick setting up. Packaged in a transport case with a ball head screw.